Laser skin treatments have been around for decades. 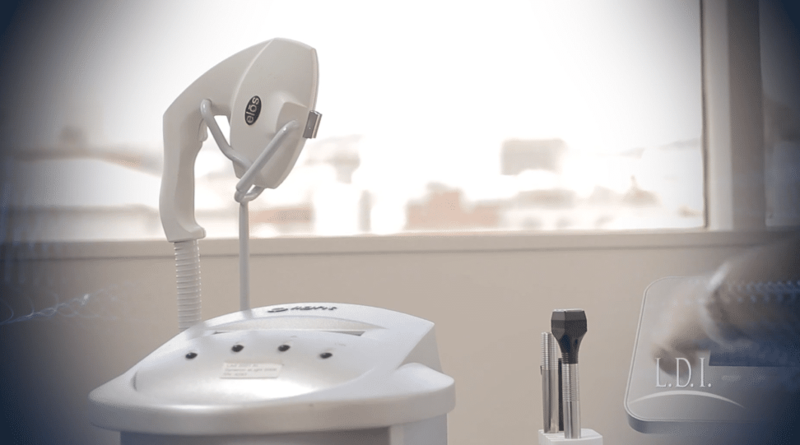 Today, lasers are literally the focus of a dermatologist’s treatment capabilities. They are used to treat various skin disorders and provide effective cosmetic treatments. In the last couple of decades, laser technology has advanced to the point it can be applied to just about any form of dermatological treatment. The word laser is an acronym; spelled out, the letters represent “light amplification by the stimulated emission of radiation”. In “On the Quantum Theory of Radiation”, Albert Einstein created the framework for how lasers work. By the 1950s, scientists were conducting experiments on the emission of radiation. Modern lasers have an optical cavity, in which there is argon, carbon dioxide, or other gas, or a medium such as a liquid or solid. With the excitation of molecules, photons of light are released. The wavelength produced depends on the medium used. A dermatologist selects a wavelength based on the types of cells and tissues they are targeting. Laser light has three main properties. It is monochromatic, meaning the beam produced is of a single wavelength; coherent, meaning the waves of light are in phase; and collimated, meaning the beams travel parallel to one another. Light is so focused it can destroy target cells and spare nearby tissue. By reducing the output to short pulses, the amount of heat applied to damaged cells is limited. Reduced thermal injury means a reduction in scarring. Physicians can provide continuous treatment, without overlapping already treated areas, using specialized automated equipment. Pulsed dye lasers: Used for most vascular lesions, including dilated blood vessels and benign overgrowths of vessels, these can treat large areas quickly. Longer pulse durations can yield more uniform results and minimize bruising. Short-pulsed lasers: Ruby, alexandrite, and Nd:YAG lasers are better suited for freckles and birthmarks as well as the selective destruction of tattoo pigments. Such lasers damage the pigment, which is later removed by white blood cells. Long-pulsed lasers: Long pulsed ruby and alexandrite lasers, and even Nd:YAG (at millisecond pulses) lasers are used to remove dark hair quickly. Treatments are typically less painful than with electrolysis and regrowth may not start for three to six months. Lasers are also used to treat wrinkles, scars, and sometimes viral warts, acne, psoriasis plaques, and skin cancers. Since lasers work by burning the skin, the effects can include redness, bruising, or blistering. Temporary pain is common. Infection, changes in skin pigment, and scarring are possible. Your dermatologist will discuss the risks and effects with you before any treatment. Training is critical for anyone to use a laser for skin treatment. Safety procedures include eye protection for clinic staff and patients, use of non-reflective instruments, and warning signs near any entrance to the procedure room. Flammable materials are forbidden, as laser beams contain high energy and can ignite them. Whether you’re seeking laser treatment or dry skin care tips, LDI can work with you. Offering the top laser dermatological services in Southern California, we operate three locations—LDI of Los Angeles, LDI of Newport Beach, and LDI of Covina. We also offer free consultations ranging from chapped skin tips to treatment planning. Schedule an appointment online!